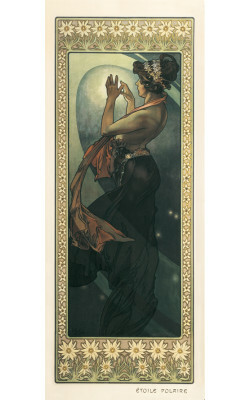 In this series of decorative panels, Mucha again chose to personify the stars as female figures. 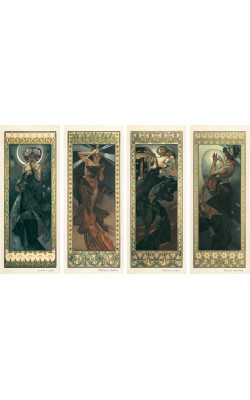 This time, however, he sought to surpass the panels' decorative function by exploring the deeper meaning of his subjects. 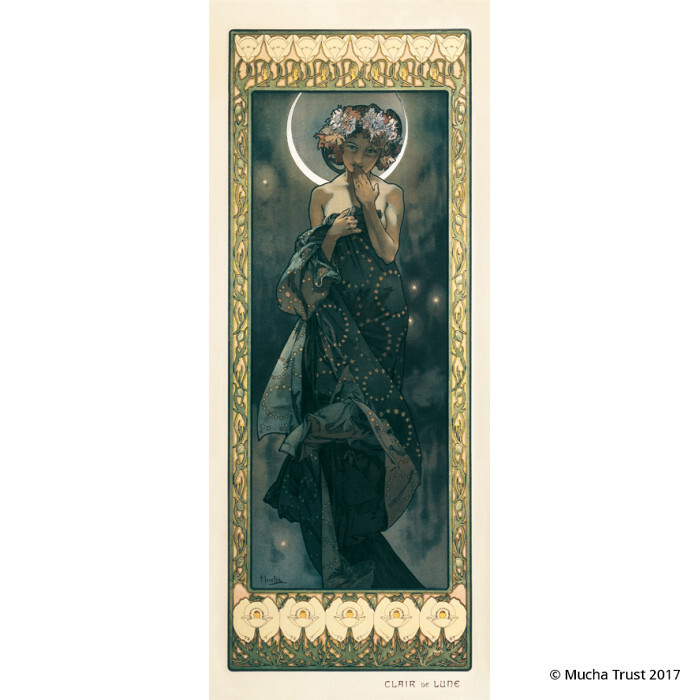 The women are no longer confined to ornate crescents and alcoves, but instead float in space and are illuminated by a light radiating from within the composition. 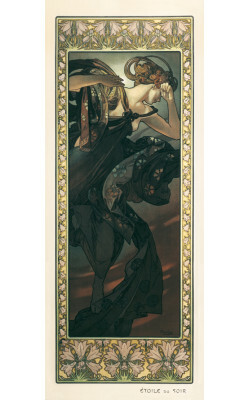 Their poses are meditative and dramatic rather than sensual. 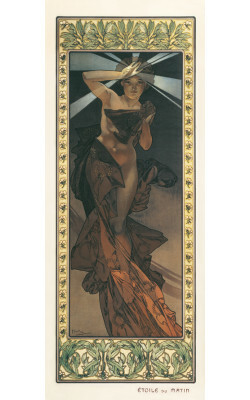 In all four panels, Mucha demonstrates great skill in rendering the texture and sheen of rich textiles. 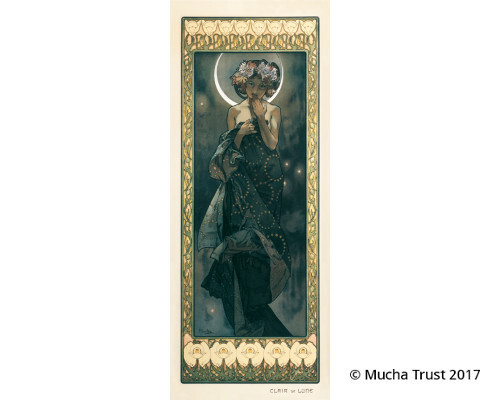 Products in the same series - "The Moon and the Stars"
In this series of decorative panels, Mucha again chose to personify the stars as female figures. Thi..